Repurposing cheap office supplies into a craft project is always a win win for me – I love trying to elevate the easily attainable. 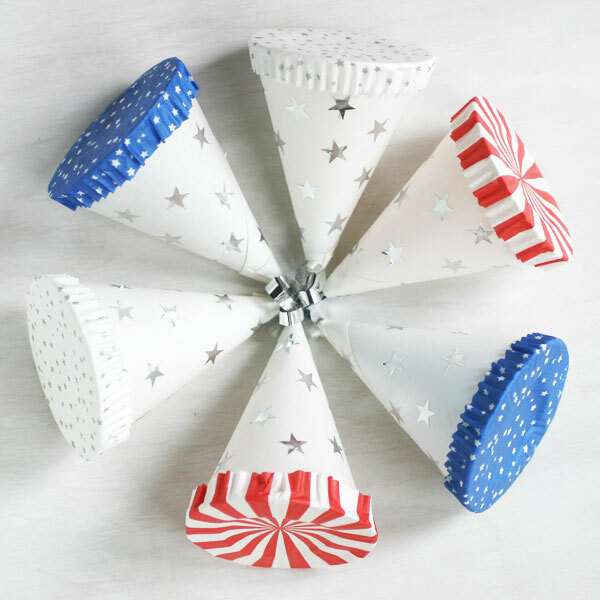 The paper cups often seen near a water cooler look much cuter as a 4th of July treat cone, filled with patriotic candy. 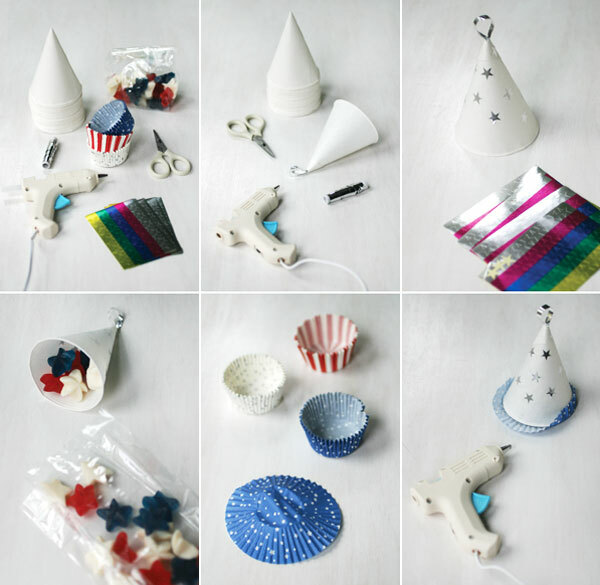 It would be great for Independence Day, but you could use the same idea for other holidays too – just switch up the cupcake liners. 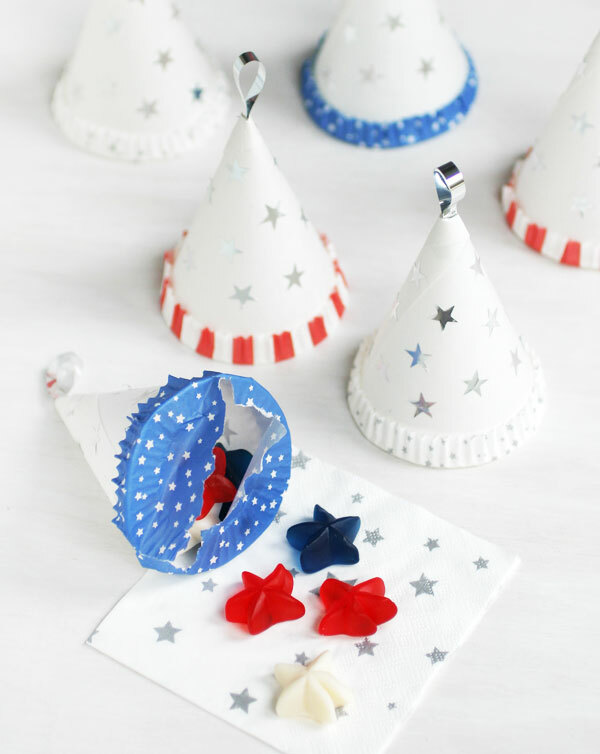 You will need: Paper cone cups, patriotic candy, cupcake liners, scissors, star stickers, ribbon, and a hot glue gun. Step 1: Snip the top off the cone and glue a loop of ribbon through the opening. Step 2: Cover the cone with star stickers. Step 3: Fill the cone with candy. Step 4: Flatten a cupcake liner. Step 5: Glue the cupcake liner to the bottom of the cone. These are amazing! 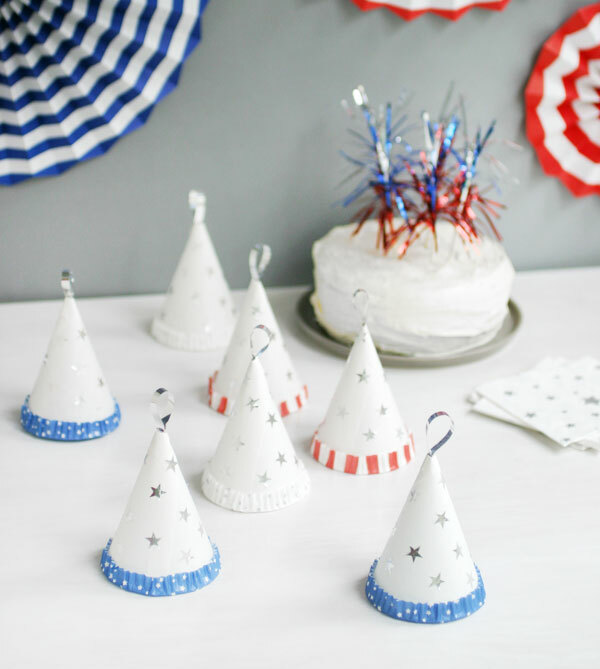 A friend is having a surprise birthday party on July 4 and these will be perfect! So cool! Love your ideas, they are always the best!! 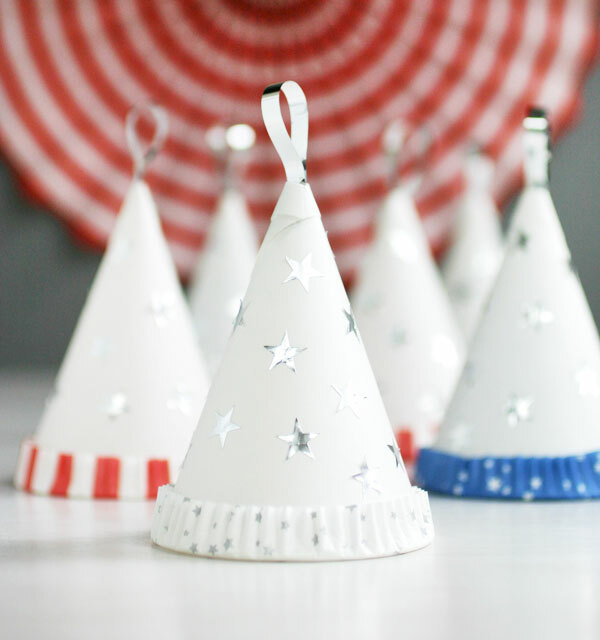 These are so cute and look super easy to make! These are so cute! 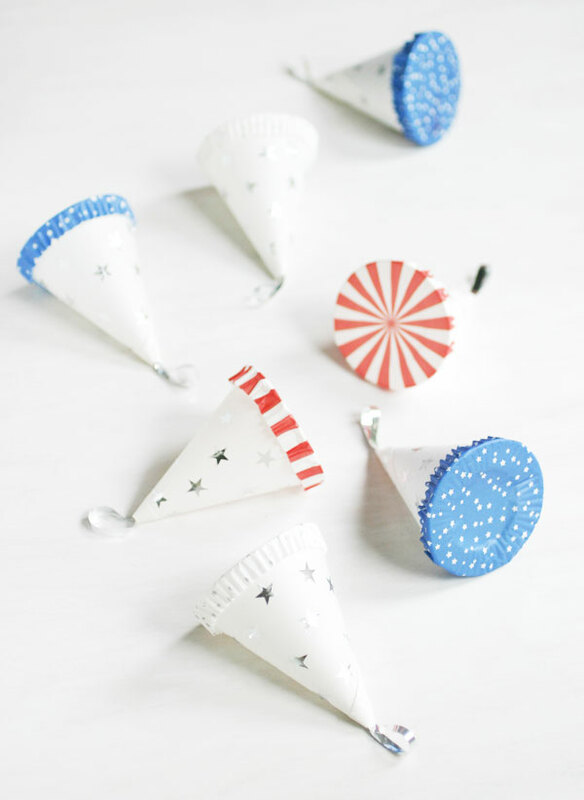 Perfect for the Fourth of July! Just found your website – so lovely!